SUMMER BASH – Title Rematches! Trevor Lee vs. Aric Andrew & Redeption vs. Dawsons! 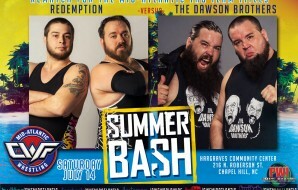 CWF Mid-Atlantic presents “Summer Bash” on Saturday, July 14th, at the Hargraves Community Center located at 216 N. Roberson Street in Chapel Hill, NC! 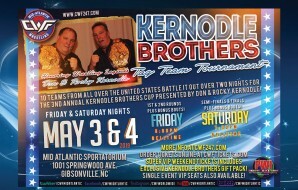 Just added to this huge event…TWO HUGE CHAMPIONSHIP REMATCHES!!! 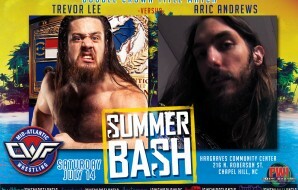 Trevor Lee, the longest reigning Mid-Atlantic Heavyweight Champion of all time, captured the CWF Worldwide TV Title from Aric Andrews in shockingly quick time, will give Andrews a chance to not only re-capture the TV Title, but also lay claim to the Mid-Atlantic Heavyweight Title and could possible become the next “Double Crown” champion! Lee has always wanted to face the top contenders and Andrews is certainly that, with or without the Worldwide TV Title belt. This rematch between the two will certainly be one the fans can’t miss! 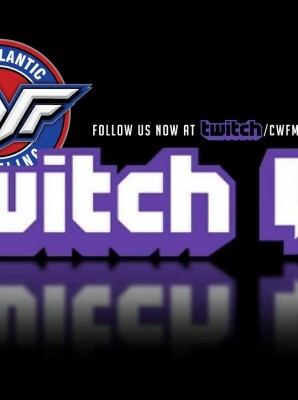 Andrews must win within the first 10-minutes of the match to grab the “Double Crown”, but even if he doesn’t, the Mid-Atlantic Crown will be on the line the entire bout! Andrews could perhaps become the new heavyweight champion while leaving Lee with the Worldwide TV Title! This unique situation could prove to be an enormous weight not only for Trevor Lee’s gear bag, but also upon his shoulders, as he moves forward to defend TWO TITLES!!! 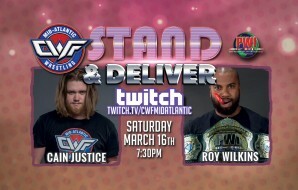 Another huge rematch will be for the Mid-Atlantic Tag Team Titles! New champions, Redemption (Michael McAllister & Nick Richards) will defend against the team they won the belts from, The Dawson Brothers (Zane & Dave Dawson)! Redemption scored the huge upset at Absolute Justice in the “Everything to Lose Match” where they came out on top of three other teams to attain the tag titles. This Saturday in Chapel Hill the new champions will have to face the former champions alone! Can Redemption keep their underdog luck going and retain the titles in the most deserved rematch against the Dawsons? Or having reached their “redemption”, will the steam get knocked out of them and the longest reigning Mid-Atlantic Tag Team Champions of all time add the titles back around their waists??? 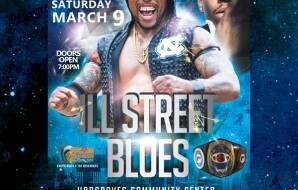 Don’t miss these HUGE title bouts plus more this Saturday Night in Chapel Hill!! !